Google is reportedly planning to take on Amazon and Flipkart with its own ecommerce platform which will launch first in India. The ecommerce market in India might be poised for a big boost as a new report suggests that Google might be planning to launch its own platform to compete with the likes of Amazon and Flipkart. The news comes after Google was reported to be in talks with Flipkart for a $2 billion investment post its deal with Walmart. According to Business Standard, Google may have now shelved its plans to invest in Flipkart. Sources tell the publication that the Mountain View-based tech conglomerate is attempting to go solo in its ecommerce foray, and that it might do so starting with the Indian market. Sources told BS that the launch of Google's ecommerce platform could happen around the time of Diwali this year. Google seems to have backed out of investing in Flipkart after seeing Walmart shareholders get jittery post its $16 billion deal to acquire 77 percent of Flipkart. ‘’Google started having second thoughts as it felt that the valuation that SoftBank Group, Tiger Global (investors in Flipkart) quoted was inflated,’’ a Flipkart executive who didn’t want to be named told the publication. While Google did not officially reply to the report, a spokesperson told the publication that this is all “speculation”. However, sources said that Google has been working on its ecommerce plans since the last one year and has been “rather secretive” about it. 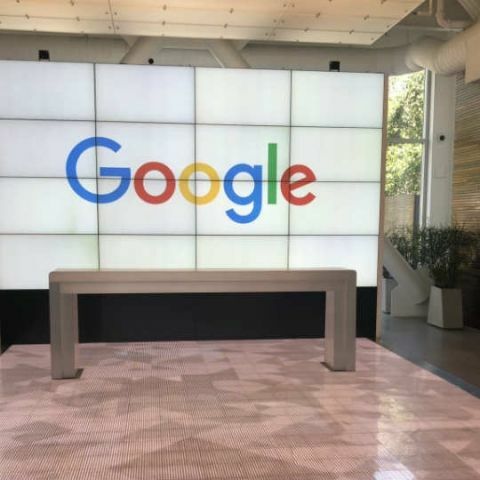 The company’s ecommerce venture is said to be led by Caesar Sengupta, Vice President of Product Management at Google, who also leads its Next Billion User initiative. The report further notes that Google’s Tez payments platform was “launched with the idea of populating the seller database”. Google also recently invested $550 million in Chinese ecommerce platform JD.com, indicating that the company is indeed serious about its plans to enter this space. Google is not the only one readying to test the ecomm waters in India. Mukesh Ambani led Reliance Industries and Facebook are also reportedly planning to diversify their offerings in India’s $200 bn worth ecommerce market. Experts believe that the growth story of ecommerce in India looks positively green. “With the massive user base, India looms as an attractive market for retailers. It’s currently estimated that 15% (200 million) Indian consumers will be shopping online by end of 2018,” said Adrian Lee, Research Director, Gartner. Which is the best smartphone under 22k in india which could perform well for longer time?